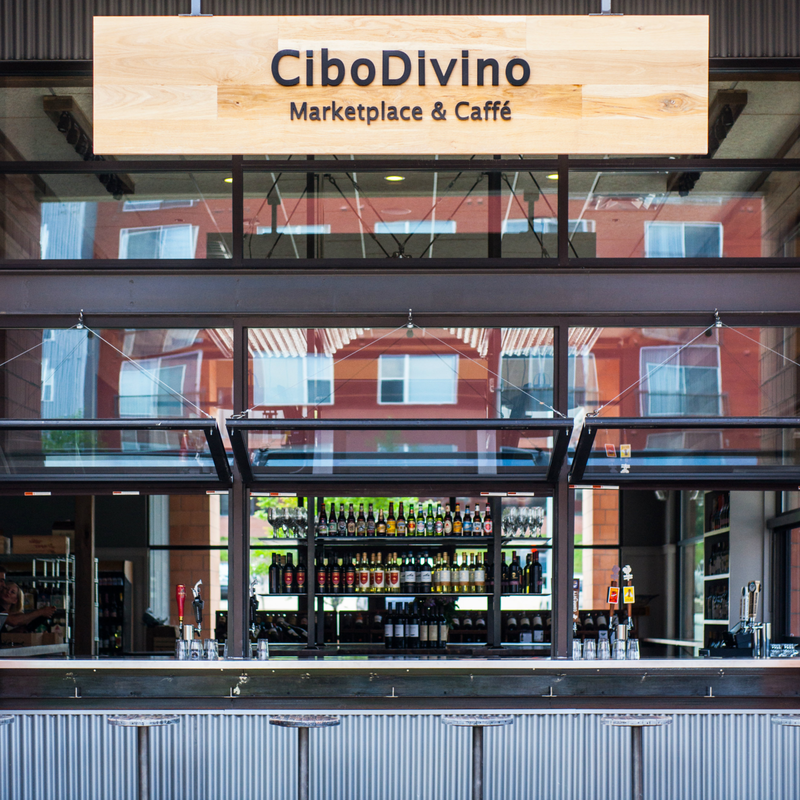 An opening date has arrived for the long-in-the-making CiboDivino Marketplace and Caffe, at the Sylvan Thirty complex in Oak Cliff: Monday, May 4. Owned and operated by chef Daniele and Christina Puleo, CiboDivino is an Italian eatery, market and bar featuring prepared foods, pizza, wine and coffee. A native of Sicily, Puleo is the former chef-owner of Daniele Osteria on Oak Lawn, and Inzo Italian Kitchen in Roanoke and Fort Worth. 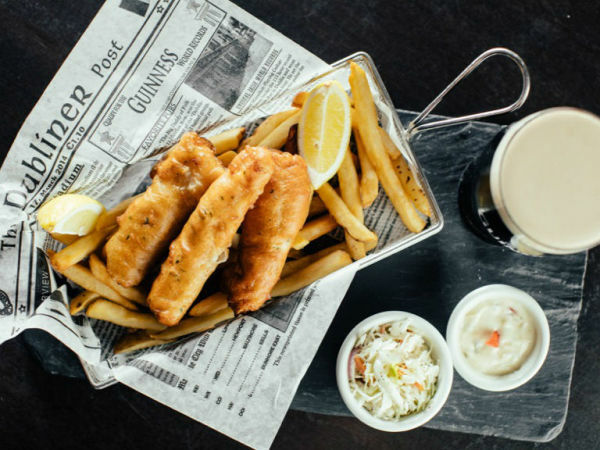 At CiboDivino, he'll do a prepared-food case of Italian items such as panini, house-made pastas, salads, appetizers, entrées, desserts, charcuterie and cheese trays. There also will be a line of private-label legumes, olive oils, vinegars, olives, sauces and sea salts, as well as fresh-cut flowers and gifts. Pizza will be on the menu, for pick-up or dine-in, baked in a glittering gold wood-fire pizza oven. The couple's passion for Californian and Italian wines is evident in a collection of nearly 350 hand-selected labels, available to sip at the large wine bar, or to grab and go. 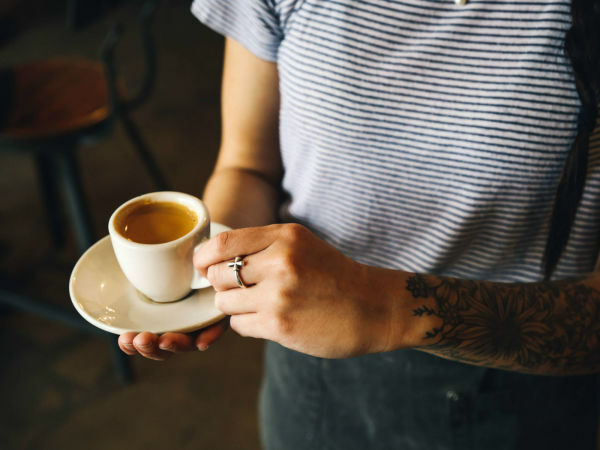 There'll be a dozen craft beers on tap, including Lakewood Brewing Co., Rahr & Sons and Community Brewing Co.
Lavazza Italian Coffee at the full-service coffee bar accompanies freshly baked pastries. In addition to food and drink, CiboDivino will host events, including wine and cheese tastings every Saturday, guest winemakers, and cooking classes. Ryan Olmos, most recently executive chef at Eatzi's and Urban Rio, is chef and managing partner; he'll oversee day-to-day operations, including prepared foods and specialty products. The design by Ron Guest features 4,400 square feet inside and an additional 2,200 square-foot wraparound, with patio and lawn space for outdoor picnicking. The decor includes marble countertops, farm tables, cement floors, corrugated glass awnings and refurbished wood, all creating a refurbished farmhouse atmosphere. 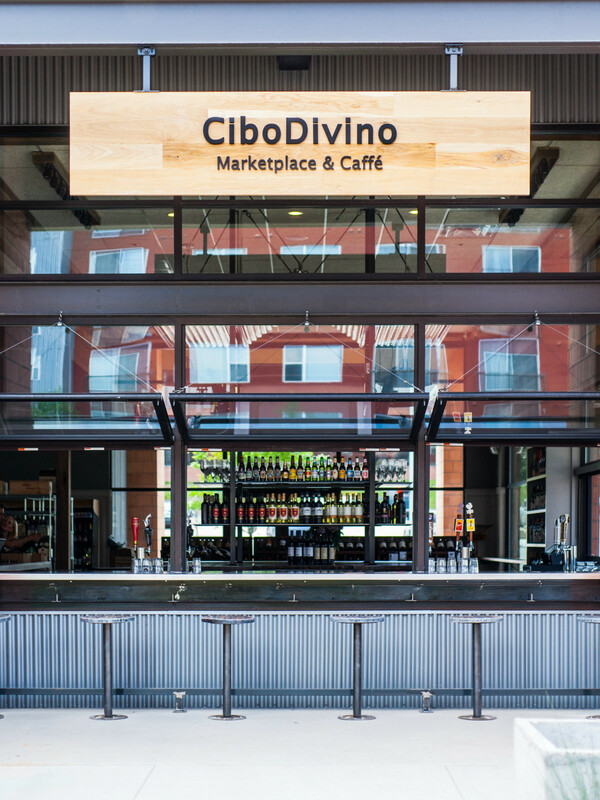 CiboDivino Marketplace and Caffe is open daily from 7 am-10 pm.